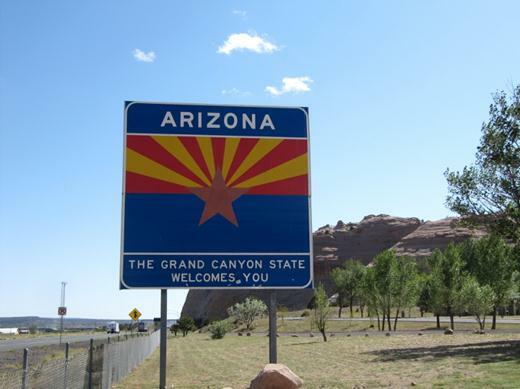 From Alamogordo we headed north – aiming for the Petrified Forest National Park (near Holbrook, AZ). The drive was full of surprises. First we found a large lava field as we drove through the desert landscape. 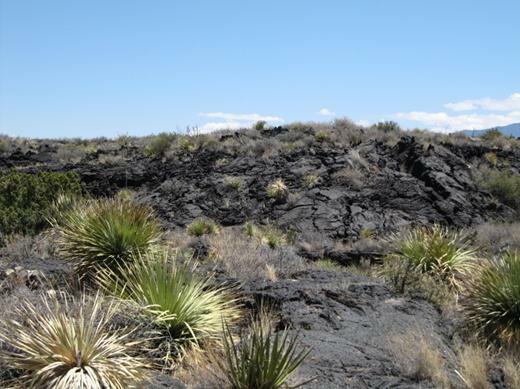 In some spots it looked fresh – with the lava flow pattern still visible – while in other areas the buckles and folds were amazing to see. The ‘Valley Of Fire’ is relatively young – between 1,500 and 5,000 years old – and up to 165 feet thick in some spots. The second surprise was not as nice – we found a slow leak in Chuck’s front tire. 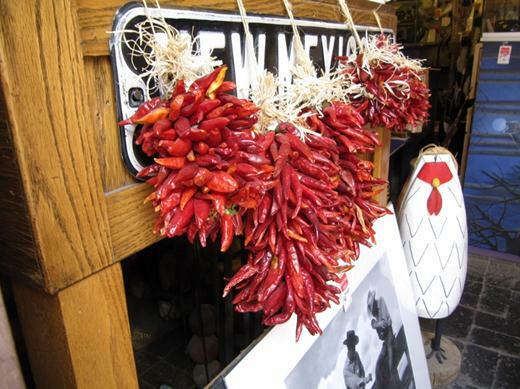 We decided to stop in at Albuquerque for a quick fix and that’s when we got the next surprise. The guys at WalMart fixed the tire for only $10! Thanks WalMart! 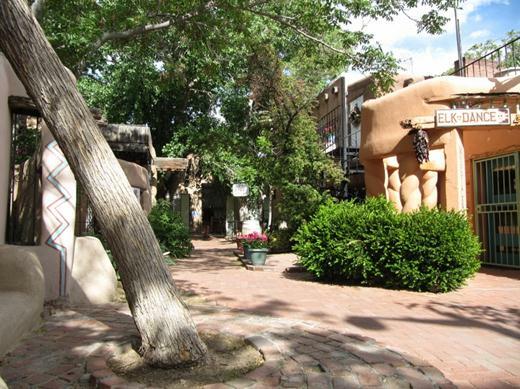 We stopped by Albuquerque’s Old Town and checked out the scene while we were there. 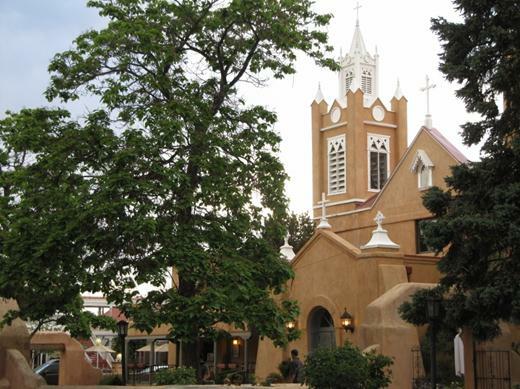 This beautiful church sits in the town square…. 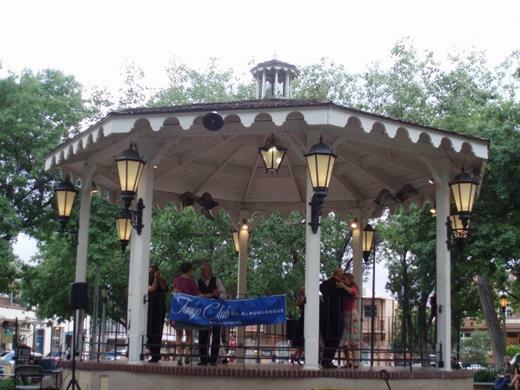 And what good luck – the Tango Club was dancing up a storm in the gazebo! 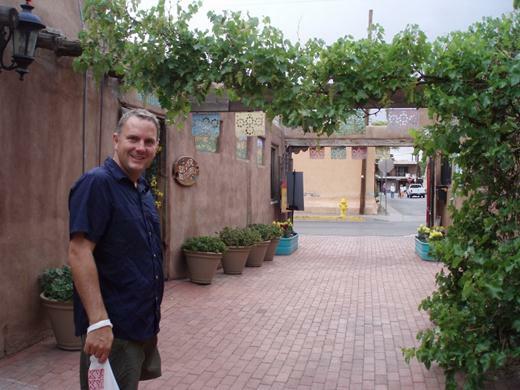 Jason checks out one of the many courtyards in the Old Town. 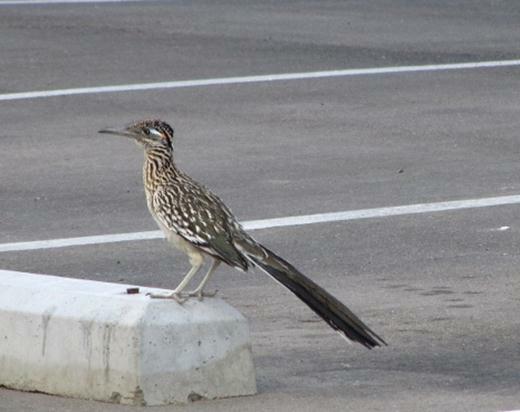 This road runner was the last surprise of the day. Normally they’re running so fast it’s hard to get a clear shot. So, imagine our surprise when this fellow decided to stop for a break nearby! 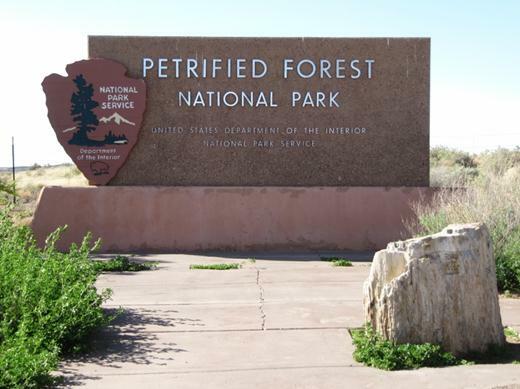 …and the Petrified Forest National Park. 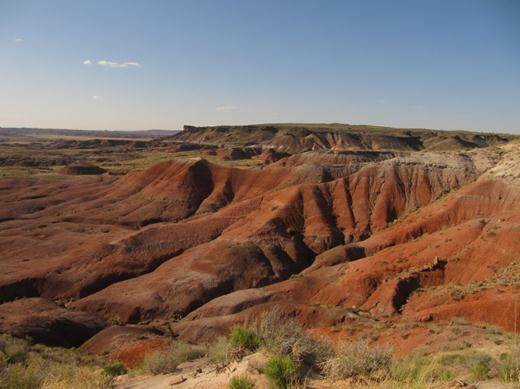 Did you know that this park also includes a big section of the Painted Desert? 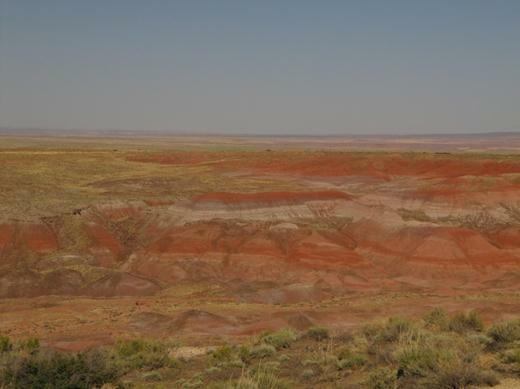 The Painted Desert is beautiful! The pic above shows off the reddish hues that come from iron oxide – yup, rust. 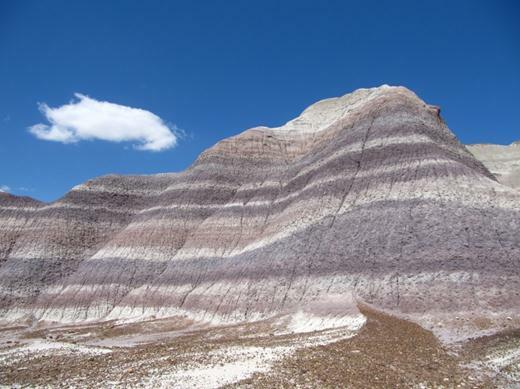 Can you believe the colors in this desert badland? On the Blue Mesa trail we hiked down into the badlands and saw blue and purple hues as well. 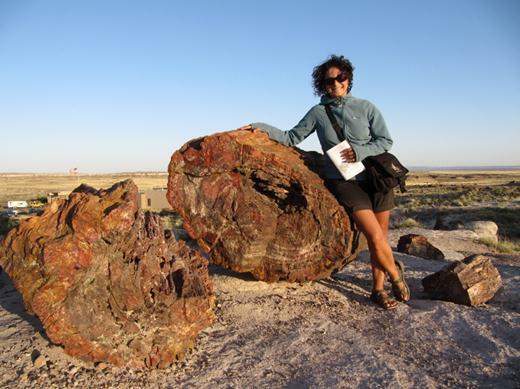 Here’s another example of iron oxide in action at the park. 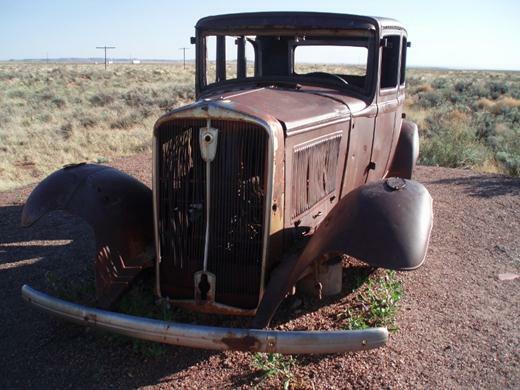 An old car sits on the former Route 66 roadway – just one of many stops in the park. 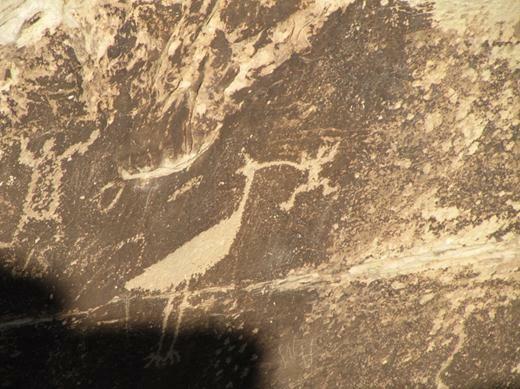 There are a few stops where petroglyphs are visible. 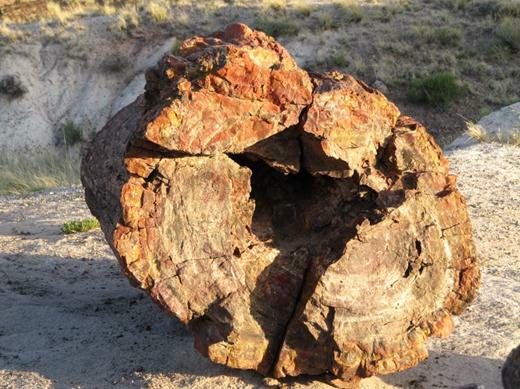 But the really incredible thing to see is the park’s namesake – petrified wood. 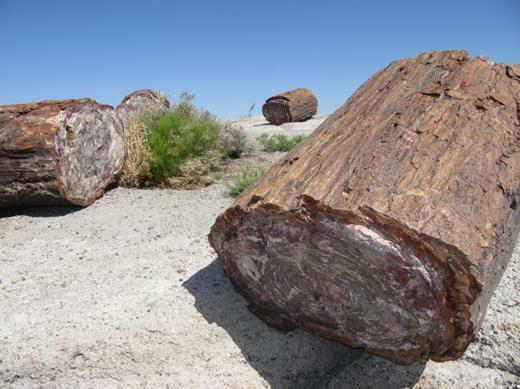 These rocks look like real wood. The tree rings are still visible on some of them. 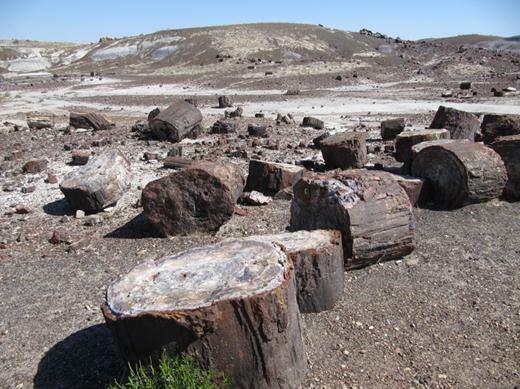 It’s hard to believe that trees covered by sediments then exposed to silica from volcanic ash could slowly convert trees into rocks over time, but it happened! After a long day we stayed for free at the Crystal Forest RV Campground just outside the park. Next up…Canyon De Chelly National Monument in the Navajo Nation in Arizona.